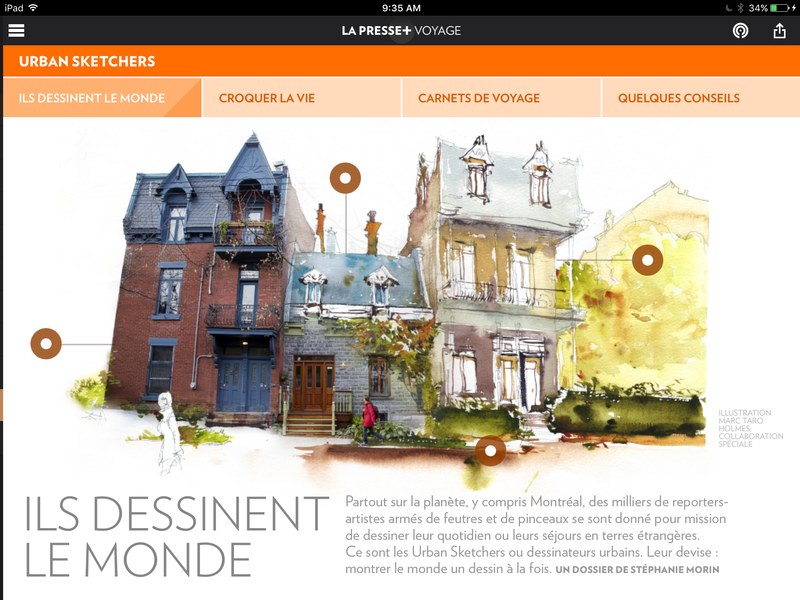 If you download today’s issue of La Presse (Sat Nov. 12) available for free on the Apple App Store, you’ll find a terrific feature in the Voyage section all about Urban Sketchers Montreal! I believe issues of the paper stay in the app for a week, so you’ll have to check it out soon to read the article. (French language). The app allows for some neat interactivity, including a pop-up drawing showing before and after versions of one of my sketches and the ‘real world’ – as well as a fun section on supplies, where you can click on various tools and see explanations. The article expands on the world-wide urban sketching phenomena, featuring a gallery of some of the top sketching cities in the world. (Seattle, Singapore, New York, Berlin, Hong Kong and Paris). Have a look if you know anyone in those towns – they might have a sketch in our paper! Tried to download and run that app but it is all in French so no idea where to start with it! Marc, congratulations to you and Shari. The La Presse article was very enjoyable. I am an urban sketcher in Miami, I have your book and the Craftsy courses by SHari and you. I am thankful for your efforts, and appreciate that you your tips and lessons on watercolour painting. 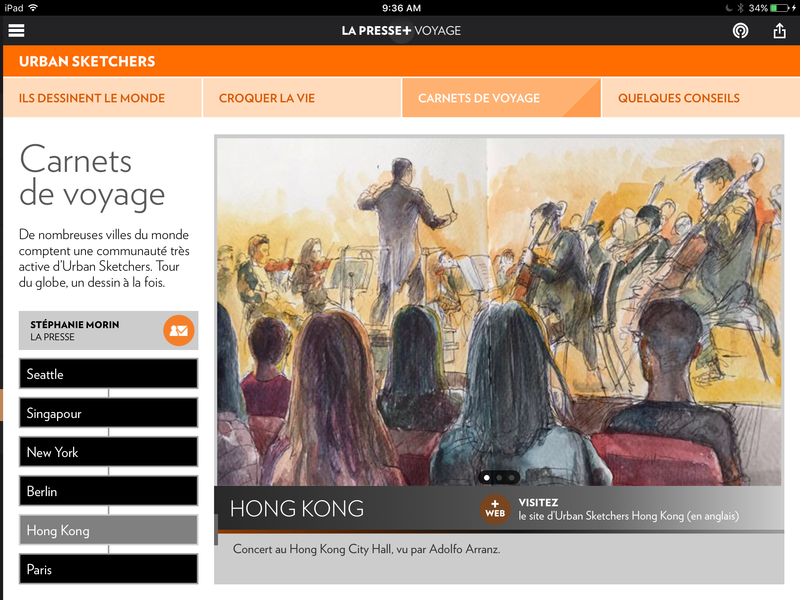 Que c’est beau de voir mes deux “raporters-artistes” ensemble dans cet article! So good to see my two favorite urban sketchers features together in this article!!! Kudos to you both. Great article wish I could read French but I did see both yours and Joni’s sketches. This was a great post! Thanks. I don’t speak French, but my friend helped me with download. The article is so well done that I almost don’t need knowledge of the language anyway. Congratulations ! 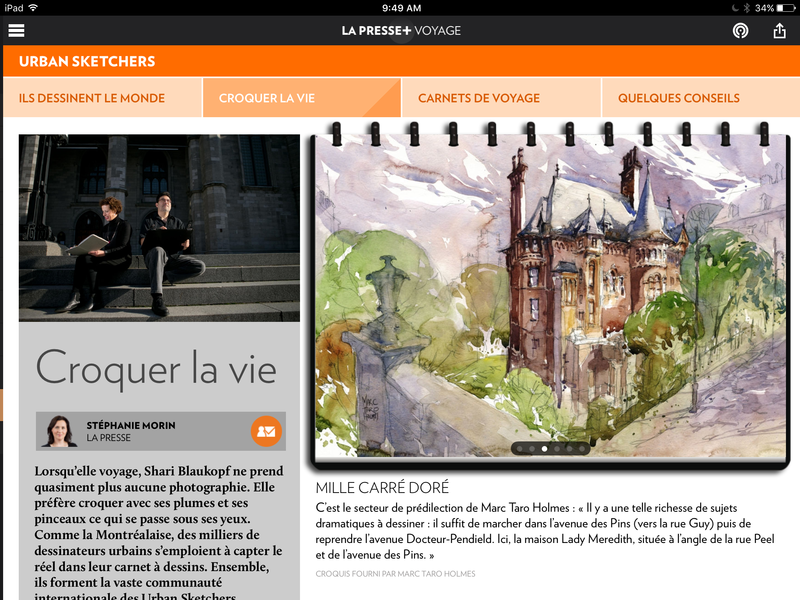 I was extremely please to see your artwork in La Presse this weekend ! Very well done and enjoyable. You must be very proud. It is a very inspiring article. You will be responsible for a boom of urban sketchers in Montreal and in Quebec for sure !!! Congratulations ! What a wonderful article in La Presse this weekend. You must be very proud and deservedly so. 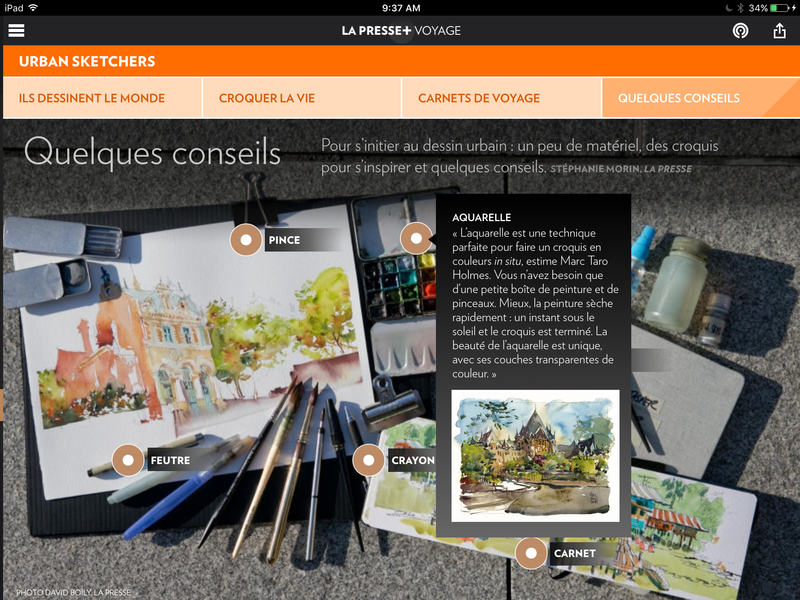 You will be responsible for a boom in urban sketchers in Montreal and the whole province of Quebec after this article. I need to go an draw outside now, it was so inspiring to see and read about it. Congrats to both of you. 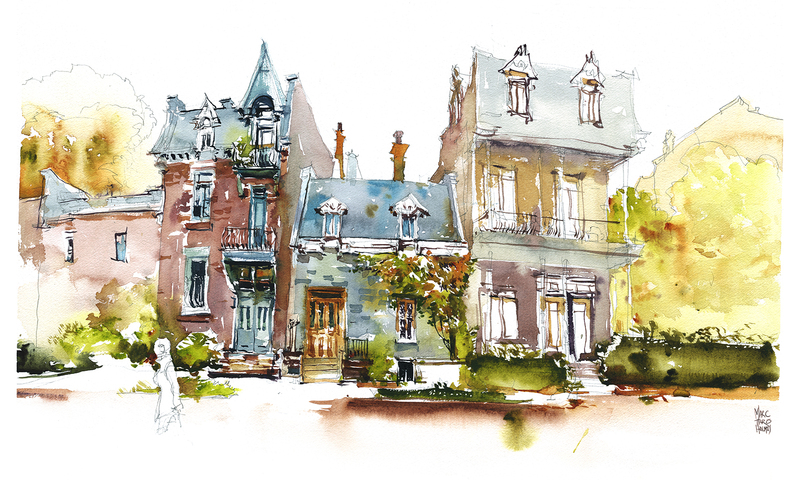 Love the Montreal sketch houses sketch.